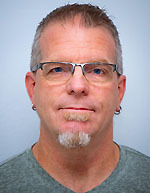 Posted on January 19, 2019 by Dan Boshart wrote in Entertainment News. It has 0 Comment. 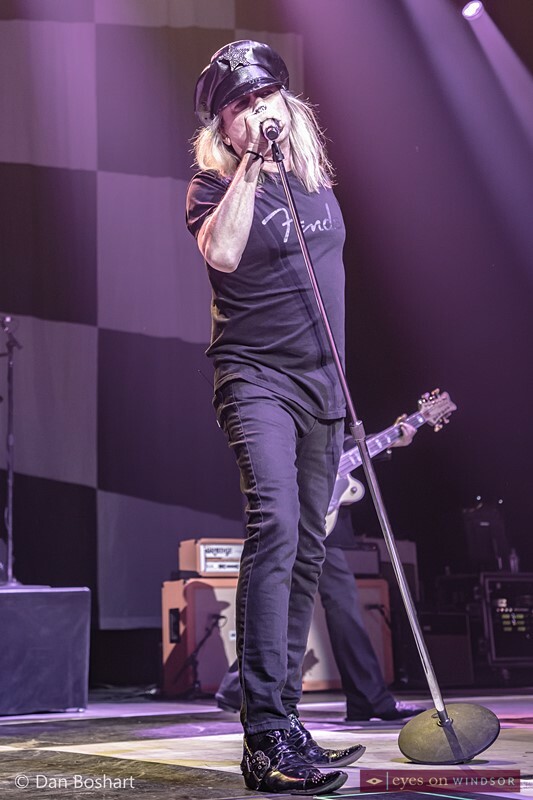 It was a family affair Thursday night (Jan. 17) as Cheap Trick rocked in front of a full house at Caesars Windsor and they didn’t disappoint! 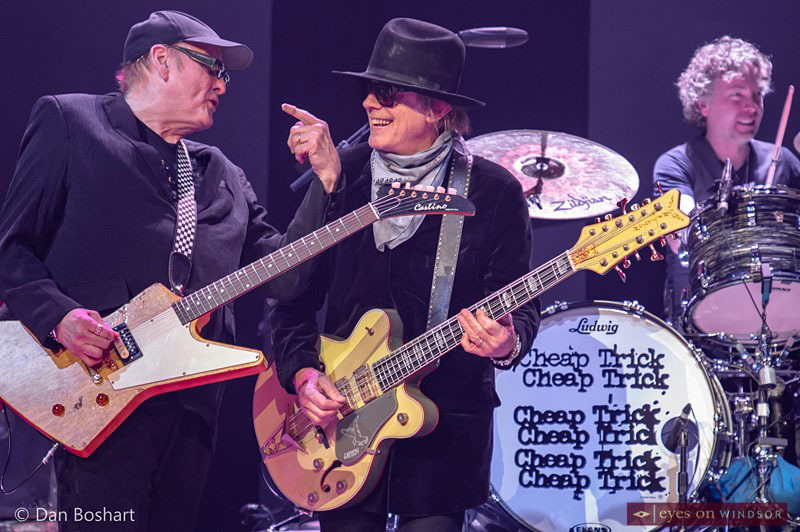 The family I’m speaking of is guitarist Rick Nielsen’s son Daxx on drums who has been a permanent member of the band since 2010, and Robin Taylor Zander on guitar, son of lead singer Robin Zander. 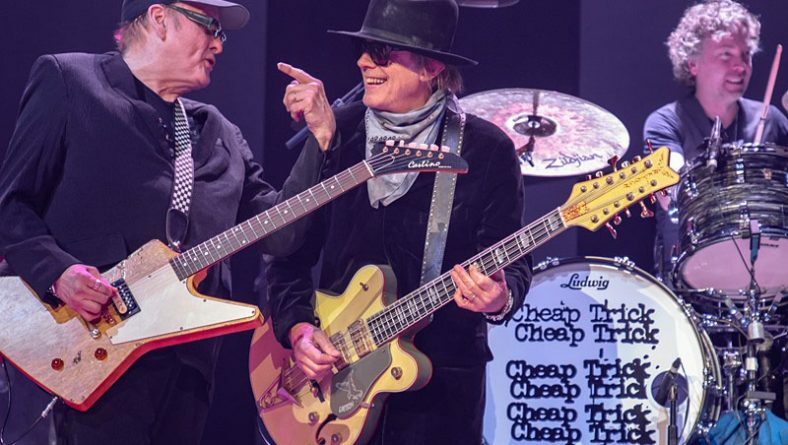 Bands typically are like families, spending hours travelling on the road together and performing, and after almost 46 years together as a band, Cheap Trick really is one! 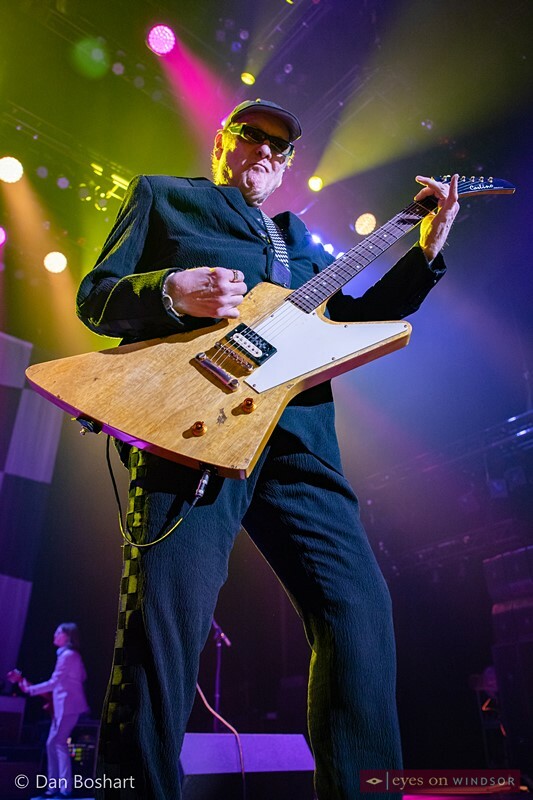 Cheap Trick guitarist Rick Nielsen performing at Caesars Windsor on Jan. 17, 2019. Photo by Dan Boshart / Eyes On Windsor. The show opened with their most popular opener “Hello There” from their 1977 album “In Color” then straight into a newer song, 1977’s “You Got It Going On”. From there it was back to the old and familiar and a string of Cheap Trick originals and well-worked covers. With their deep catalogue of music it’s always interesting to see what they’re going to bring out on any given night. 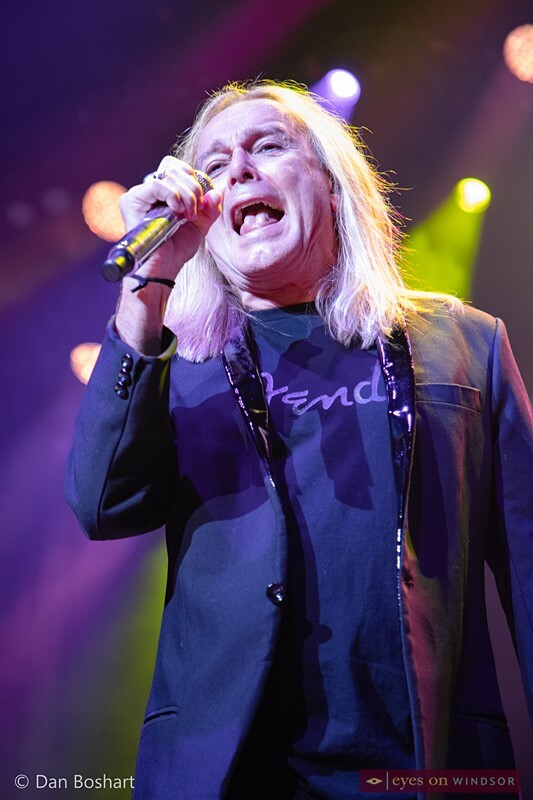 Cheap Trick lead vocalist Robin Zander performing at Caesars Windsor on Jan. 17, 2019. 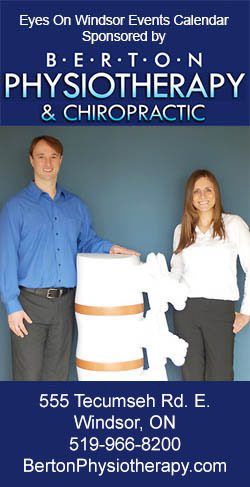 Photo by Dan Boshart / Eyes On Windsor. After telling the audience about a recent show in Liverpool where they played the legendary Cavern Club, the band launched into The Beatles’ “Magical Mystery Tour”, an outtake from their Lap Of Luxury album that was added to their 1991 Greatest Hits compilation. A couple more covers followed, the often performed “Ain’t That A Shame” and from the 2016 album Bang, Zoom, Dobie Gray’s “The ‘In’ Crowd”. A bass solo under a huge fan of coloured stage lighting by Tom Petersson was a highlight of the evening. The first musician to play a twelve string bass, custom designed for him in 1977 by Jol Dantzig, Petersson originally conceived of the idea in 1973 and it gives Cheap Trick their signature sound. 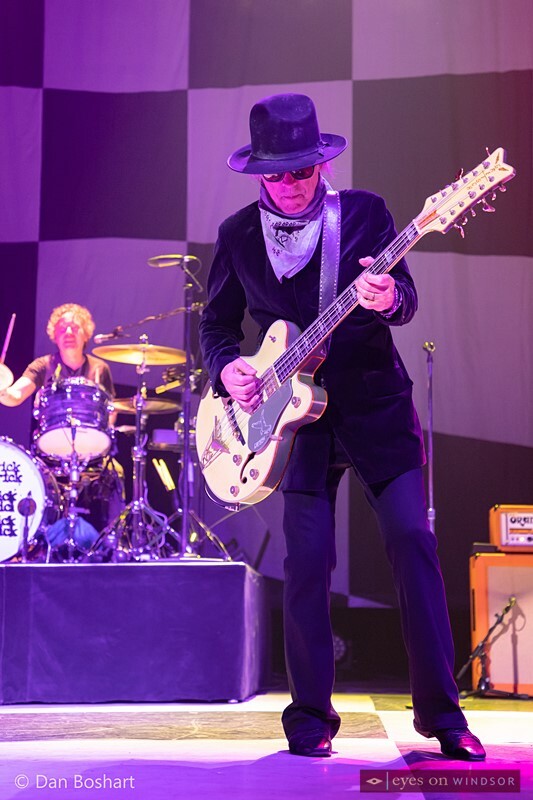 Cheap Trick bassist Tom Petersson performing at Caesars Windsor on Jan. 17, 2019. Photo by Dan Boshart / Eyes On Windsor. They really got the crowd going late in the show with their biggest hits, “Dream Police” and Surrender”, before finishing with “Goodnight Now”, a reworded version of “Hello There” to end the evening. 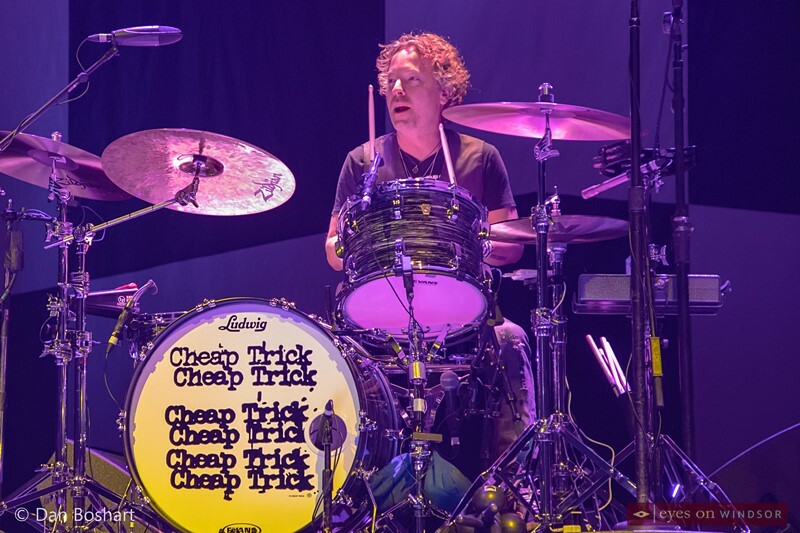 Cheap Trick drummer Daxx Nielsen performing at Caesars Windsor on Jan. 17, 2019. Photo by Dan Boshart / Eyes On Windsor. Caesars Windsor is the largest casino resort in Canada and the first of its kind outside of the U.S. to be branded with this legendary, world-renowned name. They have already announced a fantastic lineup of entertainment that will grace the Colosseum stage in 2019 with more to come. 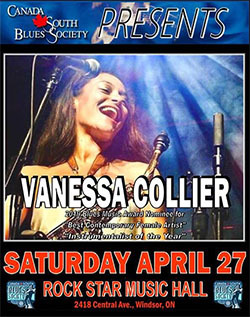 In addition, to a wide variety of world class music acts and entertainers upcoming rock shows include Southern rockers Lynyrd Skynyrd (March 3), iconic rock legends Foreigner (March 10), Canadian music icon Burton Cummings (April 12), and multi-platinum selling Canadian rockers The Tea Party (April 18). 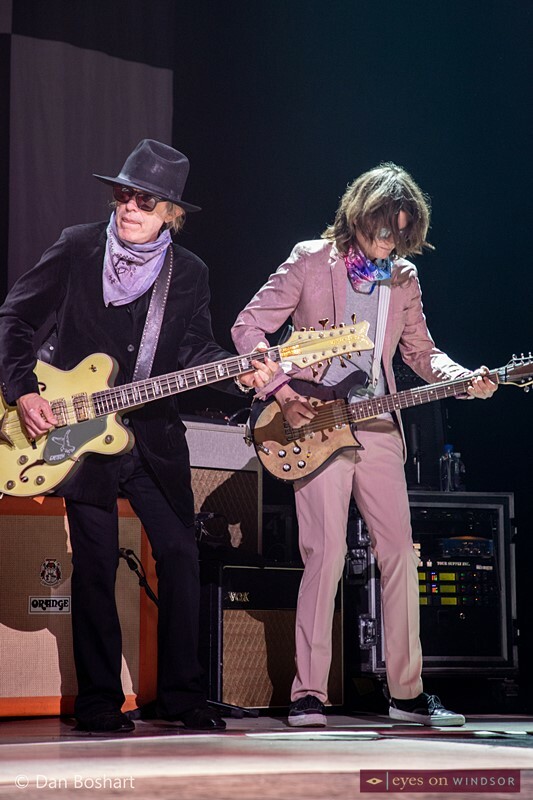 Cheap Trick bassist Tom Petersson (left) and guitarist Robin Taylor Zander performing at Caesars Windsor on Jan. 17, 2019. Photo by Dan Boshart / Eyes On Windsor. 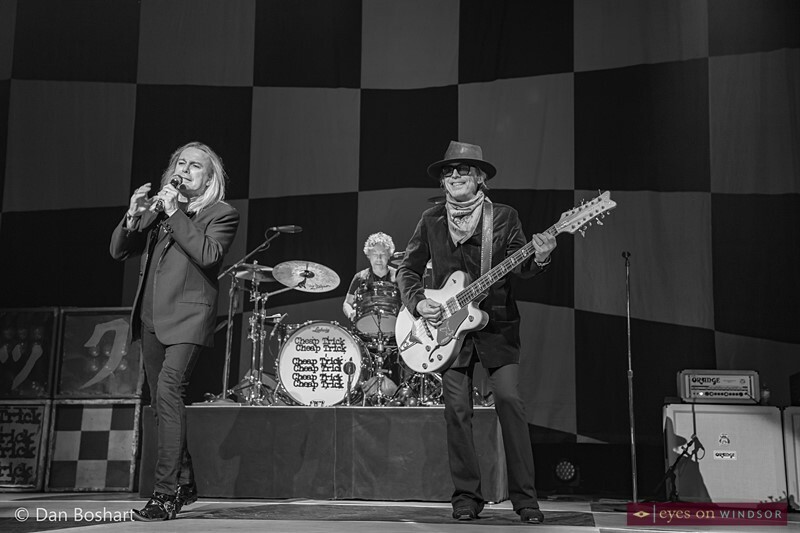 Cheap Trick band members, from left, Robin Zander (lead vocals), Daxx Nielsen (drums), and Tom Petersson (bass guitar) performing at Caesars Windsor on Jan. 17, 2019. 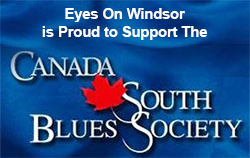 Photo by Dan Boshart / Eyes On Windsor.